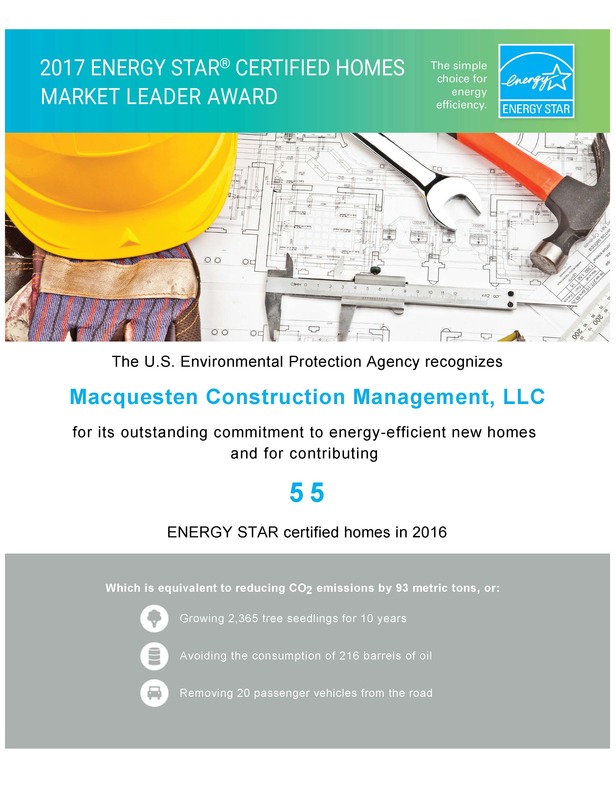 Macquesten Construction Management, LLC has earned an ENERGY STAR Certified Homes Market Leader Award in recognition of its continued commitment to providing our nation’s homebuyers with ENERGY STAR certified homes. 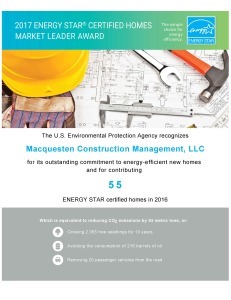 This award recognizes the organization’s work in promoting energy efficient construction and helping homebuyers experience the peace of mind, quality, comfort, and value that come with living in an ENERGY STAR certified home. NEW ROCHELLE, N.Y. (April 21, 2016) – MacQuesten Development, LLC, in partnership with the New Rochelle Municipal Housing Authority and New York State Homes and Community Renewal (HCR), celebrated a pair of milestones today at the Heritage Homes complex, a three-phase development along Brook Street and Winthrop Avenue involving the construction of 228 affordable apartments and townhouses on the former site of the Hartley Houses public housing project. BRONX, N.Y. (October 16, 2015) – Borough and City officials joined with MacQuesten Development, LLC and the Union Grove Community Economic Development Corporation (UGCEDC) today to celebrate the Grand Opening of Mother Arnetta Crawford Housing, a new apartment complex that is helping to transform the neighborhood by providing residents with high-quality, affordable rental housing. 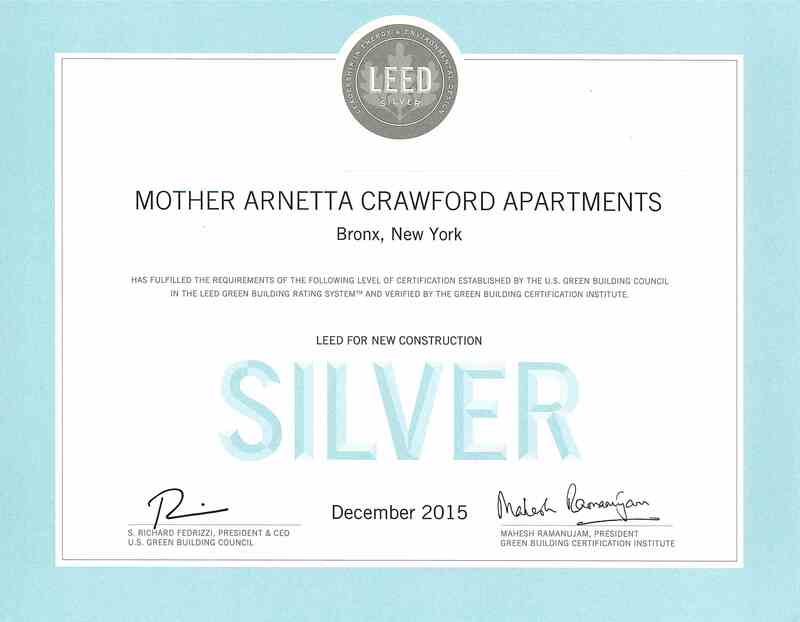 Located at 1500 Hoe Avenue, Mother Arnetta Crawford Housing is a seven-story, 78,000-square-foot building with 84 one- and two-bedroom affordable apartments. Amenities include two indoor recreation rooms, one on the seventh floor offering views of the Manhattan skyline; a secure outdoor play area; and a secure ground-floor parking area. 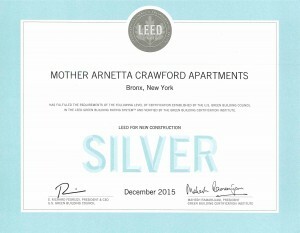 The attractively designed building features LEED Silver Level design and construction, minimizing its impact on the environment. To celebrate the grand opening event, Rella Fogliano, President of MacQuesten Development, hosted a ribbon-cutting ceremony attended by representatives of UGCEDC; Bronx Borough President Ruben Diaz, Jr.; Susan Kensky, Assistant Commissioner of the New York City Department of Housing Preservation & Development; Gary Rodney, President of the New York City Housing Development Corporation; Geneve Davis and Burton Leon from New York City Housing Authority; and representatives from Bronx Community Board 3.